Yesterday, I posted my choices for the “Best Books I Read in 2013.” Over the years that I have been doing this, I have made a few friends, but even more enemies. Books that were quietly shelved together have broken out into squabbles and fights. Books are tempermental. They demand our time and expect our full attention. They hate speed reading and resent scanning. They crowd themselves into our lives and expect to capture our full attention. Sure, there is the novel that is happy to be read once and then tucked away, and there is biography or history that is satisfied knowing that it once filled a niche in our lives. Then there is the serious study that rests assured of its own merit and doesn’t mind that it is not pulled off the shelf again and again. But most books are possessive. They expect their imprint to be life changing, their content to be revolutionary, and their extent to be all embracing. Yes to all those expectations. But we are limited, too limited in how much, now many , and how often. As Andrew Marvell’s speaker in his poem tells the “Coy Mistress,” “if we had worlds enough and time.” We don’t. So we read quickly, we glance, we scan, we read and file away, we read in part, we read a selection, we jump from table of contents to index, we dissect to get the vital truths, we extract bits and pieces, we laugh and forget, we think and move on, we love but only briefly. But the books remember and seethe. Franz Kafka said, “If the book we are reading does not wake us, as with a fist hammering on our skull, when then do we read it?” But there are only so many reading headaches we can endure. And for us incurable, unstoppable, unsatiable readers, we grow used to and pleased with the fist of books hammering our skulls. Of course, some hammer harder, more forcibly, and longer than others. 1. Man With a Bull Tongue Plow by Jesse Stuart. I wish I had met Jesse Stuart. Why I never wrote to him back in the 1970s, I will never know. Authors were more mysterious to me then. I continue to read and reread his works. I am already looking forward to teaching Hie to the Hunters to my junior high this spring, and I am currently reading from To Teach, To Love. This past year, I read Stuart’s 703 sonnets in Man With a Bull Tongue Plow. Stuart was not as good a poet as Frost, but he was more prolific and varied. If one judges 1 out of 10 Stuart poems as very good, that is still an impressive 70 poems in this book. The content ranges from fair to good to very good. But it is not the ranking of the poems that matters. It is the story-line. This collection of poetry tells a story. It is, in many respects, an American version of Virgil’s Georgics. The agrarian world, life on the farm, the man with a plow–these are all captured here in the beauty of the fields, the changing of the seasons, the miracle of life cycles. A man with a plow is a picture of Eden, but also of the Fall. That too is in these poems. The lives captured in the poems are those of successful people and failures, of tragedies and triumphs. People do good and sometimes great things. People do bad and sometimes really awful things. People live and die. The story of mankind–as seen through the microscope of rural Kentucky–compressed into a mere 703 sonnets. 2. Medieval histories and literature. Last year, I taught the Medieval portion of Humanities. I feel completely overwhelmed in this course and recognize my own limitations. But Thomas Cahill’s How the Irish Saved Civilization and his Mysteries of the Middle Ages delight, instruct, and irritate in ways that only Cahill can do. 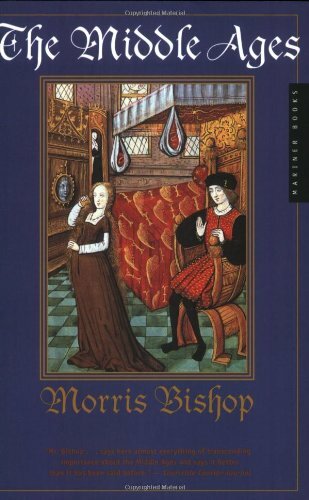 Morris Bishop’s The Middle Ages was a great survey of Medieval history, but largely focused only on social history. Boethius’ Consolation of Philosophy was a classroom favorite, and The Rule of St. Benedict never lures me to the monastic life, but does remind me of the need for contemplation. One of the great, but incomplete, delights was reading from John Ciardi’s translation of Dante’s Divine Comedy. 3. 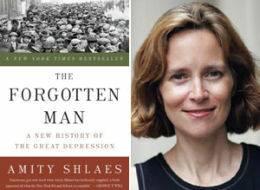 Amity Shaes’ The Forgotten Man is a critical and revisionist history of the Great Depression and the New Deal. Her scholarship exceeds her writing style, but her books are worth the effort. Her biography of Calvin Coolidge, titled Coolidge, rushes in with a much needed re-evaluation of an underestimated and good President. 4. American history studies also included two other incompleted readings: The Education of Henry Adams is ranked as a classic of American literature. Therefore, it suffers from the fate that Mark Twain described concerning classics: “A book that everybody talks about, but nobody reads.” But worse, this book is rarely talked about, in my experiences. I began reading it last summer and got about halfway through. It may be next summer before I resume the reading, but it is a “must finish” book. 5. Some great theological reads included Killing Calvinism: How to Destroy a Perfectly Good Theology by Greg Dutcher, Inerrancy and the Gospels by Vern Poythress, A Taste of Heaven by R. C. Sproul, and Name Above All Names by Alister Begg and Sinclair Ferguson. Portions of books by John Frame, James Montgomery Boice, Michael Horton, and Tim Keller were also instructive. 6. 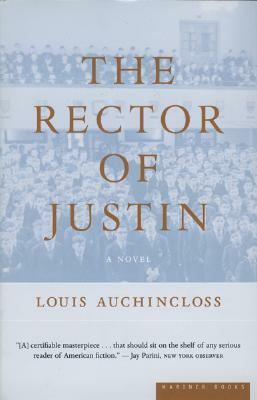 Was it last summer when I read The Rector of Justin by Louis Auchinloss? That was a really good novel. A second reading will probably land it on a future “Best Books” list. Tom Wolfe’s A Man in Full was a powerful read. I thought it was the best non-Christian conversion story I have read. Lief Enger’s novel Brave, Young, and Handsome was not as good as his Peace Like a River, but it was still a fun book. I am also glad to be finally getting into some of Larry Woiwode’s books. 7. The American classics that I have assigned and reread this year in Humanities: The American Story all improved on the reading. Twain and Cooper, Melville and Hawthorne are all masters and models. 8. Two short books that packed full messages were Andrew Sandlin’s Christian Culture: An Introduction and Herman Bavinck’s The Christian Family. 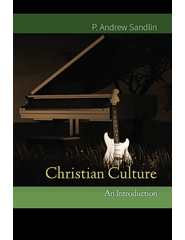 Sandlin, a friend, has written and spoken often on topics related to Christian culture. For the long time readers of Christopher Dawson, Francis Schaeffer, and others, this book will be a good reminder and good application of the lessons of Christian culture. For Christians who have never connected the walk with Jesus to the greater application of Christianity to all areas of life and thought, this book is a vital introduction. Bavinck is best known for his more in-depth theological works. His four volume Reformed Dogmatics is a weight-lifting set, but The Christian Family is a small, practical book. Yes, there are a thousand and one Christian books on the family, but only one is written by Herman Bavinck. This book also is Dutch and old, and just recently translated and made available in English. Some of the issues and approaches, therefore, will be interestingly different. 9. Sermon on the Mount and Matthew Studies. This will necessitate a whole blog post in time. I don’t know exactly which books I read completely or almost completely back in the spring and summer as I was preaching through the Sermon on the Mount. I just know I read extensively and often re-read certain portions. 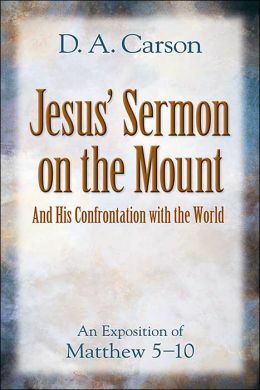 In quick order, the books by Martin Lloyd-Jones, John R. W. Stott, Sinclair Ferguson, D. A. Carson, and David Doriani were most useful on the Sermon on the Mount. Thomas Watson’s Beatitudes and The Lord’s Prayer were little used, but treasured in the portions. Books by Philip Graham Ryken, N. T. Wright, and Wayne Mack on the Lord’s Prayer were all moving. Commentaries and sermon sets by William Hendriksen, Leon Morris, Charles Spurgeon, R. C. Sproul, and John MacArthur all provided helps, teaching points, and encouragement along the way. 10. A lot of other books. Some were read through. Some were started and remain unfinished. The recent reading of David Calhoun’s Southern Zion paved the way toward a return to reading Moses, Jesus, and the Trickster in the Evangelical South. 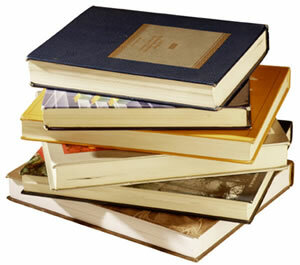 One book always reads to another, or in some cases, it leads to a whole range of other books. The numbering system in this listing of the best books has little meaning. It is hard to argue with Spurgeon’s book being the best of the year, but perhaps that it because I have spent the year preaching. Bret Lott’s book was the best book I read on being a writer. It almost convinced me to try to be one. Miller’s book was one of many good ones on prayer. Each book achieved a certain goal in a particular area. Some books, like equipment used on fields, merely break up the ground. Others dig deep into the soil, while others serve to plant, till, or harvest. In different areas of my life, the field is in different stages. On other years, in other times, the order and inclusions would be totally different. The Banner of Truth version is the most attractive and well bound, but this classic is available in many formats. The best book I read in 2014, I am ashamed to admit, is Lectures to My Students by Charles H. Spurgeon. Why ashamed to admit this? Because I have had a copy of this book for years. Yes, I read selected chapters in years past and liked them, but it was only this year when I plodded along page by page from beginning to end. It was originally 3 separate volumes, and I read it like that. I feel like congratulating myself for reading the book and firing me for not having read it years ago and often since then. I will try to be better in the future by reading this book in whole or part often. Lectures consists of talks that Charles H. Spurgeon gave to theology students on Friday afternoons, after their minds had been saturated through the weeks with heavy studies. Spurgeon sought to lively, practical, convicting, and humorous. He achieved all his goals. This book made me laugh, left me broken in conviction, provided me with sermon fodder, enriched me with pithy quotes, and challenged me all along the way. One of my favorite chapters concerned Spurgeon’s own style of preaching. Unlike so many in the Reformed faith, Spurgeon was not a traditional expository preacher. He did not typically preach through books, chapters, or even verses. Spurgeon was prone to lift a phrase from its context and proceed from there to his message. And, he defended his methods and methodology. I was totally unconvinced by his chapter on this matter, but found it incredibly enjoyable and instructive. That attests to Spurgeon’s high skills. Thanks to George Grant, D. Lowrie, and David Richardson for inspiring me to read this book. This book has to be read in as part of the Liberation Trilogy, in which the first volume is Army at Dawn: The War in North Africa, 1942-1943 and the last and most recent volume is Guns at Last Light: The War in Western Europe, 1944-1945. (I have not read the last one yet.) America’s wartime efforts in World War II are amazing. The sheer magnitude of what America did from December 1941 through August of 1945 ranks as one of history’s greatest events. Included in those momentous and terrible times were the Italian campaigns that involved the invasion of Sicily and then the Italian peninsula. The defense put up by the Italian armies was short lived, but German rushed troops and materials into Italy and contested the campaign every step of the way. The Americans had to contend with tensions between themselves and the British, the geographical challenges of Italy, the harshness of the winters spent in Italy, and with a series of poorly planned and badly executed campaigns. If I had not already known that the Allies were going to win, I would have assumed that the Germans would have won the campaign. But we did win and that message still resonates in an American’s heart. War is not an abstraction where armies and divisions move and confront enemy forces. War involves individuals, some adept and prepared, some totally overwhelmed by the horrors of war. Atkinson tells the big picture story, but tells it through the accounts of those men who were there. I cannot complete explain why this book was so important to me. Until I heard of this book, I had not thought about General Wavell since the time when I was in high school. (Every boy, at about age 15, imagines himself under General Wavell’s command in the deserts of North Africa….) I was impressed, however, because this study of General Archibald Wavell is one of the less-told stories of World War II. General Wavell is not in the top or near the top tier of best known leaders of World War II. But, his role in the Middle East in 1940-1941 may have been more important, or at least as important, as that of any one else on the Allied side in that war. With minimal forces, with an incredibly strung out area of operations, with the odds against him, Wavell drove the Italians out of Ethiopia and eastern Africa. Then he oversaw the near complete destruction of the Italian forces in north Africa. He helped secure the Middle Eastern countries that could have tipped in their positions toward Vichy France and then Nazi Germany. His greatest setback, a campaign he did not favor, was in trying to slow or halt the German invasions of Greece and Italy. Had northern and eastern Africa and the Middle East not been securely in Allied hands, the war could have gone far differently. British loss of the Suez Canal and Egypt, the rallying of Muslims toward the Axis, and the lack of a substantial British victory somewhere would all have had bad repercussions for the allies. The quiet, gentle, scholarly, and poetic general paved the way to the ultimate victory of the Allies in World War II. In some ways, it is hard to raise a cheer for this book, and yet it was undeniably one of the best books I read this past year. Dangerous Calling was some serious, somber, sober, soul searching reading. This book is as critical for the pastor as Spurgeon’s Lectures. But there is little laughter here. Every pastor reading this book sees himself, sees dangers, and sees the many pot holes, bridges that are out, and deceptive side roads we face. I read and hear far too many stories of pastors whose ministries, churches, families, and personal lives are disrupted and destroyed by sin. Any Christian can stumble and fall. Pastors are not stronger than the rest of the congregation, but they are highly vulnerable. Strong medicine for bad diseases. I am anxious to read the next volume in Smith’s series, which is titled Imagining the Kingdom so that I can better piece together his message. Smith nudges Christian educators out of thinking merely of a fact-based Christian worldview to seeing something bigger, more all encompassing, more spiritual, imaginative, and cultural. This is not a “read once and discard” type of book. The series is called “Cultural Liturgies,” and that captures some of the whallop of Smith’s ideas to our thinking. To divide worship and worldview is not our calling. Talk to me more about this book as I continue to read and think on these things. I read quite a few novels this past year, including ones by Tom Wolfe, Lief Enger, Mark Twain, James Fenimore Cooper, Larry Woiwode, and others. I continue to try to figure out what novels do and how they mean (you read that right). This short novel was a re-reading after a thirty-year gap. The parish priest in this story has a year or so of life to live among a tribe of native people in Canada. The old ways are threatened by the new, the Faith contends with the customs, and eternal matters edge up against temporal ones. The story is beautiful and sad, short and haunting. Thomas Fleming is one of the best popular historians in America. His skill can be seen in this book where he explores some very familiar material and presents a new and better way of looking at it. The disease in the public mind, a phrase coined by the little noted President James Buchanan, was the tensions of slavery. The ugliness of the institution is found in this book, but the errors and shortcomings and near-successes and tragic failures of dealing with slavery are the gist of the book. Slavery and its remedy was not a problem merely caused by Southern sin. Some proposed cures as bad as the disease. This is good history and good story-telling. 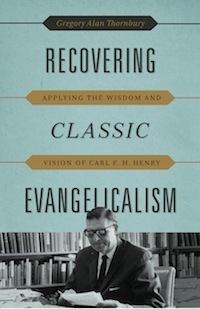 Carl Henry was a mighty force in American evangelicalism. He was a Christian intellectual thinker of the highest magnitude. Unfortunately, like a lot of brainy people, he wrote in a style that was not popular and hammered away on issues that were not compelling. But Christian thinkers are not raised up to draw crowds, appeal to the masses, or achieve fame. They are called to study, to think, and to be faithful. Henry did all that. He bolstered the walls of the defense of Scripture and orthodoxy. Building on the labors of men like Cornelius Van Til and Gordon Clark, he aptly defended the faith. This study is a good defense of the importance of the man. This book is a companion volume of sorts to Before We Get Started: A Practical Memoir of a Writer’s Life. I have been enjoying Lott’s writing for the past four years. I have acquired and read most of his books and am anticipating more good novels and short stories to come. This book addresses issues related to being a Christian and being a writer. There are those writers who love the Lord and seek to express an explicitly Christian message through the medium of a novel. 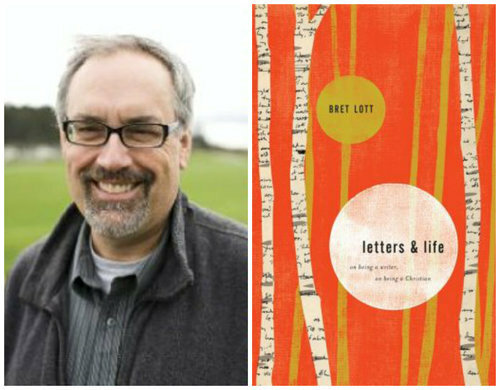 Lott does not typically write the “Come to Jesus”-type of novel. A Christian worldview and foundation underlies his work, but his message is there for all to read. This book helps explain some of the nuts and bolts of such a Christian approach to writing. This was a year of good reading on prayer. I read one of E. M. Bounds’ books on prayer with much enjoyment and conviction. I preached through the Sermon on the Mount and devoted about seven sermons to the Lord’s Prayer. That sermon series was directed and helped by a number of books and portions of books I read on prayer. These included books by Philip Graham Ryken, N. T. Wright, Thomas Watson, and Wayne Mack. These reads were all profitable, but the best of all was A Praying Life by Paul Miller. 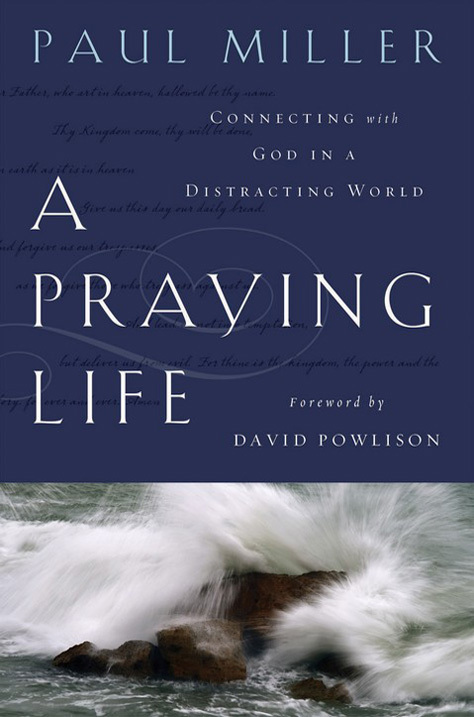 Perhaps one of the most encouraging messages of the book was the call for praying in all of life’s circumstances. When our lives are busy, chaotic, and unfocused, then hurried, chaotic, and unfocused prayers need to be the order of the day. Prayer is to be our life, not just an add on. C. S. Lewis: A Life–Eccentric Genius, Reluctant Prophet by Alister McGrath is a fine biography of one of Christendom’s most engaging and interesting men. This book had to crowd itself onto a full shelf of Lewis studies, but it is one of the best. 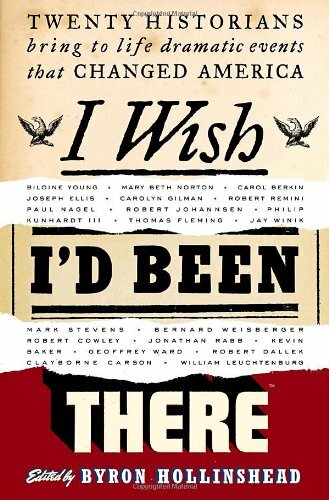 I Wish I Had Been There: Twenty Historians Bring to Life Dramatic Events That Changed America, edited by Bryan Hollinshead, was a dollar bargain, like-new, used book that I picked up at a store in Wheaton, Illinois. At first, I only read and intended to read an interesting chapter or two. But I read the whole book. It was a good preparation for getting back into teaching American history. Five biographical sketches illustrating humility. There is a big difference between having humility and being humbled. We are more likely to see or experience the latter than to acquire the former. Part of the problem of humility is that when one realizes even hints of it in themselves, it disappears. Being “proud of our humility” is a contradiction, but it is not non-existent in human experiences. “Pride in humble roots” is a recurring American political theme. Humility sells especially when accompanied by photo-opts. When it sells or it promotes itself, once again it disappears. 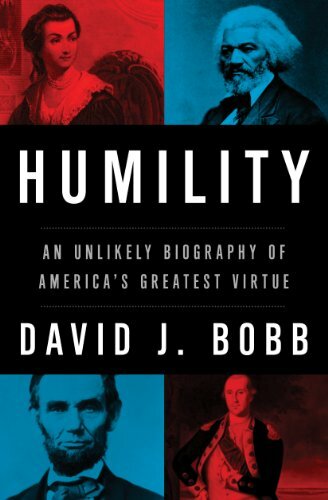 The book Humility: An Unlikely Biography of America’s Greatest Virtue by David J. Bobb explores the nature of the virtue and some American examples of it. Humility is a national need. Authors as diverse in views as Edward Gibbon in his Decline and Fall of the Roman Empire and Augustine in his City of God both faulted Rome with excessive pride. “Immoderate Greatness” was Gibbon’s phrase. Historians, political philosophers, and preachers have often made or attempted to make connections between the Roman Empire and the United States. Almost any political or social fault in our country can be discovered in the writings of Livy or Augustine in relation to Rome. Greatness almost naturally leads to immoderation. If humility is America’s greatest virtue, it has increased value because of its scarcity. The first portion of this book is an examination of the virture from ancient and classical sources. Along with Augustine, Bobb cites Benjamin Franklin’s observation that he would “Imitate Jesus and Socrates.” That sounds simple enough and noble enough, but it doesn’t cohere. What Jesus taught about humility–both in life and messages–and what the Greek world thought about humility were different things. Socrates has been as often or more often noted for arrogance as for humility. Even in his subtle “Socratic method” of questioning, he was a fox. He was not simply seeking truth, but was craftily destroying arguments. Other voices that join in these early chapters of Bobb’s book are Acquinas, Machiavelli, Acquinas, and Thomas Hobbes. As expected, Jesus’ words and example are also cited. Humility, therefore, along with its opposites, such as pride and hubris, has been debated, referenced, explored, and honored (although often in the breach) by both virtuous pagans and Christians. The larger part of this book explores humility as found in the lives of five prominent Americans: George Washington, James Madison, Abigail Adams, Abraham Lincoln, and Frederick Douglass. David Bobb explores the lives of these people and locates certain times and conditions where their greatness, their strengths, were moderated and directed by humility. These are five interesting case studies. These are five important Americans. One wonders why Bobb did not include at least one more recent American. It is hard not to get the impression that virtue existed in the world of the past and pre-modern technology and ideas. It is hard to apply the word “Humility” to modern political leaders. One might think of someone like Mother Theresa or Billy Graham as exhibiting humility at certain points. C. S. Lewis was both great and humble. But one can hardly apply the word to the likes of the current President, the Clintons, almost all Hollywood personalities and popular entertainers. I would have liked to have seen a chapter on Ronald Reagan who, I think, did exhibit true humility quite often when he was President. Perhaps the virtue of humility and the strength of the book is found in its calling attention to a much needed virtue. In other words, it is not that we have it, but that we need it. 1. George Washington: In regard to the uneasy combination of greatness and humility, one finds occasions of it in George Washington. It does not characterize his entire life and demeanor, but is there in some sterling moments, such as when he surrendered his sword (and power) to the President of the Continental Congress. (Remember: George Washington was not our first President; rather, he was the first one under the Constitution of 1787.) The chapter on Washington was enjoyable. If one cannot write a morally inspiring or interesting account of George Washington, one cannot write. 2. James Madison: Madison’s worst political calamity was his time in the Presidency. He was a gifted and brilliant political leader and thinker at the lower eschelons of power. He excelled behind the scenes, in his study and studies, and in use of gifts that are now described by the phrase “policy wonk.” His lack of physical impression was exceeded by his intellectual abilities. His framing of ideas and legislation was successful due to a humilty and realization of his skills. 3. Abigail Adams: Bobb’s point is that Abigail was a remarkable woman with humility married to a very unhumble man. What I especially enjoyed was Abigail’s desire to learn and willingness to admit her limitations. She also hated the social world and demands of politics. 4. Abraham Lincoln: Perhaps it is the long entrenched Southernness of my mind, but the typical gushiness over Lincoln is hard to read. Bobb discusses Lincoln’s hatred of slavery, but perhaps he does not say enough about Lincoln’s own very 19th century views of African-Americans and his own willingness to endure slavery if that meant preserving the union. Bobb also discusses Lincoln’s troubles in finding a fighting general. That is an amazing story and has been told by many historians including Bruce Catton, Kenneth Williams, and others. That General George McClellan was anything but humble is a fact. This chapter could have been much better had it been a dual study of Lincoln and General Robert E. Lee. 5. Frederick Douglass: The main point I got out of this section was the encouragement to read Douglass’ autobiography, Narrative of the Life of Frederick Douglass. Unfortunately, in this section Bobb made an extensive comparison between Southern (actually American) slavery and Russian Communism. The gulags and the Old South were equated. Having recently read David Calhoun’s Southern Zion which chronicled the many efforts (and shortcomings) of Southern preachers to minister to slaves, the comparison Bobb makes is lamentable. It seriously flawed an interesting account of Douglass’ life. I add, because I am supposed to, that I received a copy of Humility as a free review book from Thomas Nelson Publishers. I am not under obligation to favorably review the book, but I can say that it has a message worth considering. The title above, “The Most Wonderful Time of the Year…And Day,” refers to the days, like today, that follow Christmas. The thing most wanted during the holiday rush, from Thanksgiving to Christmas Day, is a time of rest and reflection. There are moments and hints of rest and reflection along the way, but they are usually just that, moments. We have Christmas concerts and programs to prepare for and attend, Advent sermons and worship services, gift buying, decorating, and many other things to rush about taking care of. All that would be fine if the rest of life could come to a halt, but December is also the time for semester tests. So the pace accelerates, with only occasional slow-ups. To a large degree, at least for a school teacher, the whole frantic pace comes to a sudden stop on the evening of Christmas day. Evenings and mornings on the days ahead will be, I hope, a time of slow, quiet, unrushed enjoyment. This morning, I resumed reading two books, complemented with coffee. As I have often said and blogged, I need a book that is primarily prying into my soul and another that works the mind. In the best of books, each pattern occurs. I am given information and knowledge, but am also stirred and convicted. A Long Obedience in the Same Direction: Discipleship in an Instant Society by Eugene Peterson was originally written in 1980. I recently picked up a copy of the 20th Anniversary Edition, which came out 20 years and a hundred thousand copies later. This book is a series of studies, probably originally sermons, on the Psalms of Ascent. This means Psalms 120-134. They were usually recited by pilgrims on their way up, hence ascent, to Jerusalem. These Psalms are short, memorizable, varied as to content, and immensely connected to all the joys, troubles, travails, encouragements, and steps along the way of faith. We are all on spiritual journeys. Hopefully, we are all on journeys of ascent. These Psalms are much needed by the church and are needed by individual Christians for praying, meditating, and applying. This book is what I use to start my morning reading. 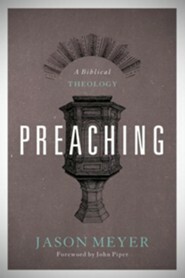 Preaching: A Biblical Theology is by Jason C. Meyer and is published by Crossway Books. I should certainly hope Pastor Meyer has a Biblical theology of preaching because he is occupying the pulpit of Bethlehem Baptist Church which was formerly held by John Piper. Piper wrote the foreword to this book, so he approves the man. This is a serious and weighty study of preaching. The man needing some easy numbered steps to facilitate sermon prep will find little here to help. Meyer devotes a large portion of the book to a survey of the role of God’s servants and ministers of the Word in the Bible. Meyer makes, repeats, and applies three points throughout the book. He states, “My thesis is that the ministry of the word in Scripture is stewarding and heralding God’s word in such a way that people encounter God through his word.” Note the three points: Stewardship, Heralding, and Encountering. This book is both mind-provoking and heart-convicting. I will be reviewing it in more detail later, but for now, I will have to be content with reeling in conviction. I should also point out that a large section of the book focuses upon expository preaching. Any Christian could profit from reading Eugene Peterson’s book. Meyer’s book is directed toward preachers in the pulpit and in training (and those of the former category should also be in the latter. The strong coffee that accelerates the mental processes is your choice. [WHEN Scrooge awoke, it was so dark, that, looking out of bed, he could scarcely see anything in the room. Off in the distance, he could hear coyotes howling. Looking at his watch, he tried to make out the time. It was just after midnight. They walk around and see an old cowboy with a happy look on his face. Fezziwig: “Boy, you fret too much. Them cows are just fine. This is the time for a young feller to be thinking of gals and maybe finding’ one to take up with for life. Ranchin’ life can be awful lonely if you don’t have a good woman at your side. In came Mrs. Fezziwig, a smiling’ just like Ole Tom, and along with her came the whole passal of Fezziwig gals. And after that, all the young guys in the territory who were sweet on the Fezziwig gals. Folks brought in all kinds of good food, including cakes and pies that the women folk had been cooking all day. There were more dances, and more dances, and there was cake, and there was drink. The highlight of the evening was when the fiddler struck up a tune and Old Tom Fezziwig and his Missus led the way on dancing’ a Virginia Reel they had learned back when they were young. It was late in the night before the party broke up and the cowhands went back to the bunkhouse. Before they left, Old Tom and is Missus’ shook the hands of everyone and wished ’em all a Merry Christmas. Young Eb Scrooge tries to tell Miss Belle that he hasn’t changed. GIRL: “It don’t matter, Eb. To you, it don’t matter at all. You found another that you love more than me. There’s no reason for me to act like nothing is wrong. I would have made you a good wife. But I hope you find comfort in what you have found. Originally performed by the Veritas Academy Humanities Class. ￼ MARLEY was dead, to begin with. There ain’t no doubt whatever about that. The register of his burial was signed by the sheriff, the judge, the undertaker, and the chief mourner. That was Old Eb Scrooge. Yep, he signed it. Old Eb Scrooge signed a lot of papers. Seemed he always got somethin’ out the deal, like more land, more cattle, more money. Old Marley was as dead as a door-nail and had been pushin’ up daisies for seven years. Scrooge knew he was dead? Of course he did. How could it be otherwise? Eb Scrooge and Jake Marley had been partners, running the same ranch ever since they left workin’ at Old Fezziwig’s outfit, for I don’t know how many years. Partners up til the day that Marley was kilt in a fight over more land. Marley died and got his six feet of ground and Old Eb got the lands belongin’ to the folks what killed Marley. Now with Marley bein’ in Boot Hill, Scrooge was now the owner of the whole spread, the whole herd of longhorn cattle, the barns and corrals, the horses, saddles, the bunkhouse, the ranchhouse and the outhouse. What a fine cattle ranch it was. Big gate out front with a sign hangin’ down. Scrooge and Marly Cattle Ranch. Scrooge never painted out old Marley’s name off the sign, however. There it yet stood, years afterwards, right out front of the ranch– Scrooge and Marley Cattle Ranch. Yes, Sir, the ranch was known as Scrooge and Marley. Sometimes a feller that was new to the parts would call Scrooge Scrooge, and sometimes he called him Marley. Old Eb Scrooge answered to both names. It was all the same to him. Oh, but Eb Scrooge was one tough man, as rugged, rough, tanned and ridged as those wide open plains of west Texas. He was tight-fisted. Maybe it came from all those years of running cattle during scorching summers and hard winters. But he was more than rough and rugged. He was just plain ornery, as mean as a mad dog, as rangy and unpredictable as a herd of buffalo. And tight fisted. Why ole Eb Scrooge was a squeezing, wrenching grasping, scraping, clutching, covetous old coot! The blazing sun of a hot Texas summer and the blizzards of winter had little influence on him. No camp fire could warm him, no sleet and drizzle could chill him. No blue northern wind that howled across the plains was more bitter than Eb Scrooge; no falling snow was more cold. No pelting rain less could make him more neighborly. No foul weather on the outside could match his foul temper on the inside. The heaviest rain and snow and hail and sleet could they often drew folks together and brought out the best in a man, but nothing could soften the tough rawhide exterior of Eb Scrooge. Everybody in town called him Mr. Scrooge, but no one stopped to jaw with him. Ever one was afeared of him. He never had a kind word or even the time of day for anyone. Not any wider woman, not even the preacher, would ask Eb Scrooge for help. No man or woman ever once in all his life asked for directions to such and such a place, of Scrooge. Even if a friendly dog saw him coming, he would tuck his tail and hide. But what did Scrooge care! It was the very thing he liked. Yes, sir, enjoyed bein’ mean and contrary. Hard hearted, cold, rough, unfriendly, unneighborly. He only smiled if he bested somebody in a deal, a land deal, cattle buyin’, horse tradin’. You see what kind of feller he was. He wuz, that’s the key ideer. If you don’t understand all that about Ole Eb, you won’t be able to understand what is so amazing about the rest of this story. Some years back, of all the good days in the year, it was Christmas eve. Old Scrooge had been out herding cattle with his men all day long. He was always fearful that somebody might rustle a cow or two away from his heard. It was a cold and hard day and he was just getting back to the ranch with his foreman Bob Crachit. And, as usual, Old Eb warn’t in a good mood a’tall. Like you said, It was mighty cold outside. A bleak biting, hard wind from the north had blown in, bringing ice and snow. And although it was just past the middle of the afternoon, it was quite dark already. 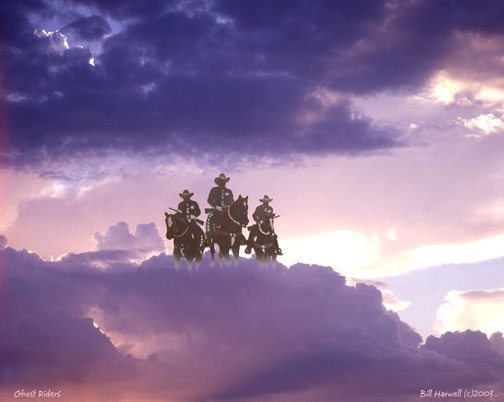 Two Cowboys rush in with a hurt cowboy between them. SCROOGE: Bah. I spit on the whole idear of Merry Christmas! What’s Christmas time to you but a time for having to feed cattle through a long hard winter, a time of realizing you ain’t got money for paying bills; you look in a mirror and find yourself a year older, and not even two bits richer; you look over your herd and find that you got less than you did the year before. FRED:￼”There are many things in this world that have done me good, but I didn’t make a profit from them. I reckon Christmas is that way.. But I always thought of Christmas time, when it comes round, — along with it being the time we remember the birth of Jesus — as a good time; a kind, forgiving time, a time for helpin’ folks, a time for kin folks and friends to git together. 2nd GENTLEMAN: Our condolon…condolen… con…con…We are right sorry to hear that, Mr. Scrooge. ￼Scrooge lived in a small part of the ranchhouse which had once belonged to his deceased partner. The building was old now and dreary enough; for nobody lived in it but Scrooge, the other rooms being all closed up. Old Scrooge bundled up and headed over to the ranch house, but all the while, he kept hearing strange sounds in the whistling wind. Being a rancher, a cowboy, a man who had spent many a long hard day and night out on the trail, Scrooge was not a man to be frightened by echoes. He went into his house, lit a candle, fastened the door, and went into his room, carrying his candle as he went. ￼The house was dark, ‘cept for the candle he carried. Darkness is cheap, and Scrooge liked it. He also liked being alone, but on this night, he walked through his rooms to see that all was right. Something about that sound out in the wind had worked up a skeer in him. But just as he figured, there was nobody in the house with in. Nobody under the table, nobody near his chair; just a small fire in the fireplace and a bowl of stew in a small saucepan. Ole Scrooge ate his food and cussed the cook for putting too many spices in the grub. ￼At first he couldn’t sleep. Then he got to thinking’ of ways he had forced the Widow Jones off her ranch right in the middle of the winter: land, barns, and cattle all. He had gotten the whole spread for a steal–mainly by paying back taxes, and he could make back his money with the spring cattle drive. And he wouldn’t have to worry about her botherin’ him anymore over use of the creek or about her settin’ her bonnet on marryin’ him. With that pleasant thought, he drifted off to sleep. And, with sounds loud enough to frighten off a whole of Indians, he began to snore. What a good sleep, until Eb heard some noises. ES￼: “You helped me, Jake. Look at this cattle ranch we built. I knew the all about herdin’ cattle and you knew how to turn those herds into money. We were the best cattle ranchers in all these parts, maybe in all of Texas. And you were a good man of business, Jacob,”. M: “Cattle! Business! Mankind was my business. Neighbors, poor farmers, widows, orphans, folks trying to build schools, preachers telling’ people the Gospel. That was our business. M: ￼”Either these 3 spirits come to see you, or you’re gonna turn out worse than me. They comin’, like it or not. The standard argument against study Bibles replete with notes and commentary is that the notes attain equal footing with the text. I have had a half dozen or more different study Bibles through the years, and I don’t think I have ever even remotely equated a study note with the text. I am sure that problem has occurred, but study Bibles are no different than other man-made and added tools for Bible study. The Bible being translated into languages was also a study tool. In the older confessions, this is referred to as translating the Bible into “vulgar languages.” One of the bigger objections to the King James Bible in 1611 was its common everyday language. Plain speaking English people wondered if it were proper to put God’s Word in the very same language that playwright named William Shakespeare (or that other guy who wrote the plays) was using for stage plays. The Bible is a big book with many different parts. It covers a wide range of years and extends over several major culture groups, many cultural and religious traditions, and many different times and circumstances. The Bible contains poetry, history, dramatic narratives, sermons, legal codes, biographies, and letters. With little explanation, it nudges in along side the ancient cultures of Egypt, Mesopotamia, Babylon, Assyria, Greece, and Rome. Although the Alexandrian Hellenistic culture rose and fell and seeped into the contours of thought during the time between the Old and New Testaments, there is much about that culture that is backdrop and assumption in the Bible. While The Iliad and The Odyssey reveal bits and pieces of the Greek legacies, mythologies, and mores, the Bible reveals even more patterns and ideals of the Hebrew people. While Livy’s History of Rome gives lots of details about the earlier stages of Roman history, the Bible includes even more in-depth studies of the history of the Twelve Tribes from the Exodus through the Exile. If the Bible had been given to us in modern electronic form on the Internet with links, it would be filled with such. In short, both the extra-Biblical material that can enhance Bible study and the applications of Bible study are more than any one man or church can possess. For that reason, since the earliest days of the Faith, pastors and others have written letters and commentaries on the Bible. Each age or era of history opens the doors to new insights and understandings. Proverbs 27:17 says, “Iron sharpens iron, so one friend sharpens the countenance of a friend.” There are two vital reasons for sharpening iron. One is for defensive purposes. A sword needs sharpening. The process can mean life or death. The other reason is for agricultural reasons, for building a culture of survival. Dull tools and implements limit the ability of the farmer or the craftsman to do his work. The friend who is the “iron sharpening iron” is any one who spurs our minds, directs our thoughts, and disciplines our understanding. None of us are adequate to understand and apply the Bible. By the way, the Bible was not given to any one of us. The Bible is given to the community of God’s people. Most often that community is congregated as a church. The concept of the covenant community or the church can be seen in both the local church, usually known by a mailing address, and the larger body of God’s people. A strong case can be made, and this blog often makes it, that Christians need to read and be instructed. The range and number of books is almost unlimited. Pastors and teachers in the church will need the more specialized and labor-intensive study tools, but all Christians will need some works that provide instruction, exhortation, and direction. Hence the need for bookshelves, perhaps lots of them. But the case can be made for the compact, easily transportable, self-contained library consisting of a Bible–with study notes. In this case, I am recommending the new Gospel Transformation Bible, recently released by Crossway Books. This study Bible was udner the general direction and editorship of Bryan Chapell. The list of contributors includes many well-known Bible scholars and writers. This study Bible has two main goals in its textual additions. The first is to emphasize the unity of the message of the Bible. As Dr. Chapell says in the Introduction, “Christ’s grace does not wait until the last chapters of Matthew to make its first appearance, but rather is the dawning light increasing throughout Scripture toward the day the Savior came.” He later refers to the “creation-fall-redemptionpconsumation perspective” as the map or tool to help unfold, unify, and explain the Bible. I remember struggling for years with a vital disconnection between Old and New Testaments, prophets and apostles, Jesus’ sayings and those of the apostles. If the Gospel Transformation Bible had been in my hands in 1972 instead of The Living Bible and Good News for Modern Man, I could have been fast-tracked toward a much better understanding of the Bible. Although God providentially used weak versions of the Word to awaken me to the Word, the case can be made for using the sharper iron. The unity issue and Christ-centered nature of Scripture is life-changing and exciting. Pastors should not only preach Christ from all the Scriptures, but the congregation should read Christ in all the Scriptures. The second goal of the Gospel Transformation Bible is for readers to apply Gospel truths to their everyday lives. Without application, there is not Christianity. Often application tells us to do something different, but more important, it tells us to think something different. Bible application redirects our perspective. Just asking the question, “What does this verse or this chapter mean for me?” is life-changing. The Bible doesn’t merely contain some interesting details and some speculative thoughts. It tells us how to think and live. Like most new Bibles, the Gospel Transformation Bible comes in a variety of styles and formats. What benefits you the most can only be decided by looking at the various options on-line or in a bookstore. I think this Bible would be especially good for new Christians and new students to Bible study. Being a believer now for about 42 years and comparing that with eternity, I put myself in that category as both a new Christian and new student to Bible study.